Whether you’ve been on the lookout for a new credit card product or simply get pre-approved offers in your mailbox each week, you’ve likely heard about 0% balance transfers. These promotions, usually offered to new cardholders, are an excellent way to get a leg up on your finances and save yourself some money in the process. Sometimes, you can even score one as an existing cardholder, making the process even easier. But how exactly does a balance transfer work? Are there any caveats to that “no interest” offer, and is a 0% balance transfer worth opening up another credit card? 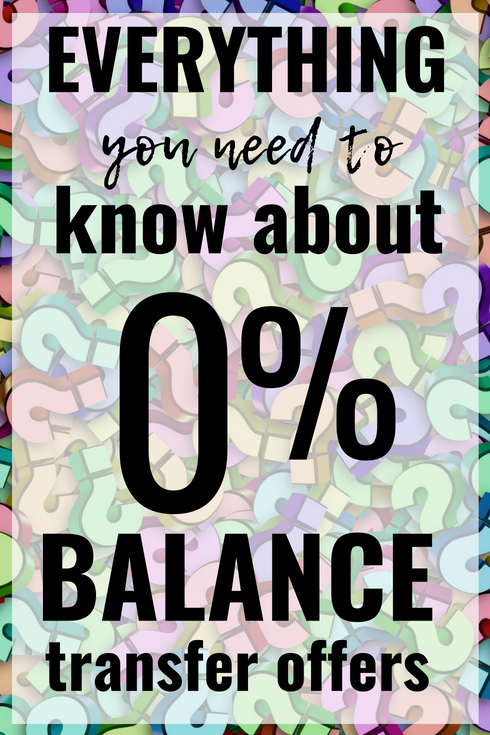 Let’s take a look at everything that a 0% balance transfer offer entails, why you should absolutely take advantage of one, and when you should steer clear. A balance transfer – whether offered at a 0% promotional interest rate or a more standard APR – is a pretty basic product. It’s pretty much exactly what the name implies: you are given the opportunity to transfer an existing balance from one creditor to another. Creditor B, the new guy, will send a payment to creditor A to cover all (or part) of the balance that you currently owe them. You’ll see that reduced (or eliminated) balance show up in your account portal as well as on your credit report. If your balance transfer covers the entire debt, creditor A may even close your account and mark it as paid in full, especially if it’s something like a personal loan, auto loan, or installment account. Instead of continuing to pay off that balance each month with creditor A, you’ll now send a monthly payment to creditor B. The amount of debt that you carry en totale will not change; instead, it’s more like shifting debt from your right hand to your left hand. Most often, balance transfers are offered to consumers by credit card companies. They’re not only a convenient financial product, though – they’re used as a promotional enticement to draw in new credit card applicants. You will occasionally find a balance transfer being offered through a bank (usually in the form of a personal line of credit), but this is much more rare than the typical credit card balance transfer offer. If a balance transfer is the financial equivalent of switching hands, why would anyone even bother with them? Well, it’s because they can be very lucrative products that save you a lot of money in the end. Balance transfers are great for a number of reasons. If you want to consolidate your debt with one creditor, you can do so with a balance transfer. With one quick process, you can move all of your balances to one place. This makes reviewing your financial situation, or even sending in a monthly payment, much more simplified. The biggest reason to opt for a balance transfer, though, is the savings. If you’re holding onto a debt – whether it be a credit card account, auto loan, or even student loans – you’re almost guaranteed to be paying interest on that balance. The rate you’re paying varies on the product, your own credit, and even the details of the debt (such as how long you’ve held it and the type of account it is). However, this means that you could be paying anywhere from 0.5% to 35% in interest on that balance… and that’s wasted money that you could be keeping in your pocket instead. By taking advantage of a 0% APR balance transfer offer, you can eliminate those interest charges. This allows you to either A) lower your monthly payment (if needed) or B) pay off the debt sooner... all while saving yourself hundreds of dollars in fees. Instead of a percentage of your monthly payment going toward interest charges and the remainder going toward the principal, your entire monthly payment will now go toward your balance. This makes it faster, easier, and cheaper to get out of debt. A balance transfer is an incredibly simple financial product – in fact, I’ve found it to be one of the easiest credit card “features” I’ve ever utilized. I have found it more difficult to file a price protection claim or even report a fraudulent charge than it was to successfully complete a balance transfer. The first step in initiating a 0% balance transfer is to first confirm that one is being offered to you. If you have recently applied for or opened a credit card, this is your best bet; many credit cards today will offer anywhere from six to 24 months interest-free on balance transfers, as an incentive to open a new account. If you haven’t yet opened a new credit card but want to take advantage of a balance transfer offer, start looking around – we have a great list of those cards offering excellent transfer options to new cardholders, so you can pick the one that suits you best. Your next step, once you’ve locked in a 0% balance transfer offer or confirmed that one is ready for you, is to get the necessary information from your existing debt. You know, the one you are going to transfer the balance from. Each creditor is different in their requirements, but you will usually need to gather the name of the lender, their contact information (phone number and/or address), your existing account number, and the balance on the account (if you’re transferring the full balance). Once you have this information, you can get the process rolling. Many credit card companies will allow you to initial a balance transfer online, through their customer portal. SImply click through to find the balance transfer offers available to you and to start the process. With some credit card companies, you will need to give customer service a call instead. They will take all of the information necessary to process the transfer, and you’ll be on your way to interest-free debt repayment. You don’t need to contact your existing creditor to facilitate the transfer. However, once everything is complete, you will want to double check that the entire balance is indeed cleared out. Thanks to rolling interest, there might be a small difference between the amount you requested be transferred and the actual balance on the account – even if it’s only pennies. However, even a $1 balance can rack up late fees and get reported to your credit. It’s smart to either check online in a few weeks or call up your lender, to ensure that the entire balance was cleared by the transfer. If you’re taking advantage of a 0% balance transfer option, you’ll be enjoying the benefits that come with paying off a debt interest-free. This can save you hundreds, if not thousands, of dollars in the end, and make the transfer well-worth the effort. However, transfers can still cost you money. Most balance transfers will incur a fee for the initial transfer, even if it’s part of a promotional offer. This fee, charged by the incoming creditor, ranges in cost from company to company. You can expect that a balance transfer fee will be somewhere between 3-6% of the total balance transferred, or $5-10 (whichever is greater). This fee amount is added to the new balance at the same time that the debt moves over, so you won’t need to pay it up-front or separately or anything. If you’re paying a fee of 3-6% to conduct a balance transfer, though, is it really a savings? Is the transfer worth the effort if it still costs you money? Let’s say that you have a $5,000 credit card balance, on which you’re currently paying 16% interest (right at the national average). You pay $250 a month on that card, so it will take you a total of 24 months to clear the balance. In the end, you will have paid a total of $5,854, or $854 in interest. Now, let’s say that you transfer that $5,000 debt to a card offering a 24-month, 0% balance transfer promotion. You’ll pay a 3% fee for the transfer, and then you can continue to pay the debt down with your $250 payments. You might be surprised to learn that it’s a cool $704 over the next two years! You’ll pay $150 for the balance transfer fee, sure, but then you’ll save on interest charges for the life of the repayment… a nice change from the $854 you would have paid in interest over the same time period. What could you do with an extra $700+ in the next 24 months? Will a Balance Transfer Help My Credit? If you’re carrying around credit card debt, you are probably well-aware of the impact it can have on your credit score. Your credit utilization accounts for as much as 35% of your overall credit score, so carrying debt (especially debt that is high in relation to your total line of credit) can certainly drop your credit score. Transferring a balance, even if it’s to a 0% interest offer, won’t positively impact your score in and of itself, unfortunately. The interest rate you pay has no bearing on your credit score, and even if you now have the ability to pay off your debt faster (and for less money), this won’t be reflected on your credit report. The only caveat to that is if you transfer a balance on a card that is maxed out. You see, your credit utilization doesn’t just take into account your total debt compared to your total available credit; it is also impacted by individual accounts with high utilizations. So, let’s say that you max out a card with a $5,000 limit. Even if you have $20,000 sitting in available credit on other empty credit card accounts, that one 100% utilization will dock your credit score by default. This is when a balance transfer can be helpful; by spreading out that utilization, you’ll keep the same overall percentage but also lessen the impact that one maxed out card can have. Over time, a balance transfer can help improve your score. If you continue paying to same amount toward the debt each month, you will automatically pay down the balance sooner than if it was still accruing interest. This means that the balance, and your credit utilization, will drop even faster… boosting your credit score bit by bit. You’ll also see the slow benefit of a positive credit history with the new account, which will continue to add to your positive credit over time. While 0% balance transfer offers are wonderful, they are not to be jumped into without caution. If you’re not careful about your future actions, or even keeping an eye on the offer in question, you can wind up in serious trouble. One of the easiest ways to turn a great balance transfer offer into a big expense is to fail to pay off the balance before the end of the promotional period. Typically, balance transfers have APRs that are the same as, or even higher than, the same card would charge for purchases. Once your introductory offer period expires, any remaining balance is subject to that (significantly higher) interest rate. If you don’t make a concerted effort to clear the balance in time, you might wind up paying more in interest than you would have on the original credit card account! Even worse than an expired 0% balance transfer offer is a 0% deferred interest offer. You don’t typically see this with balance transfers, but it does happen. 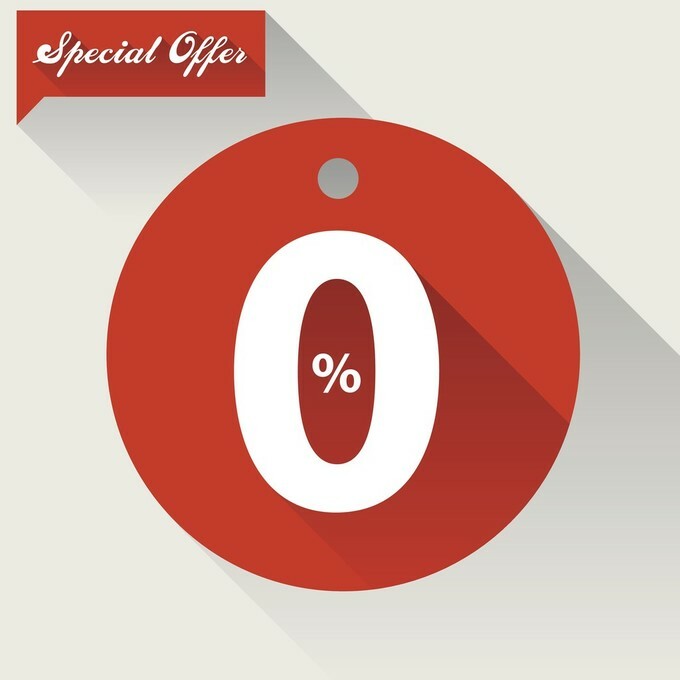 On this type of account, you will enjoy the benefits of 0% APR for the promotional period, but it’s not really 0%... the interest is deferred. If you reach the end of the promotional period and haven’t cleared out the balance, you’ll see the entire deferred interest amount lumped back into your account balance, and still need to pay it all off. If you need a balance transfer immediately, you might find yourself frustrated with the process. While transfers can sometimes go through in a few business days, they can also take up to a week or two. There’s no way to know how long your balance transfer will take, as it’s dependent on the cooperation of both creditors, but just know that the process isn’t instant. The biggest concern with a balance transfer offer, however, is with your own habits. Many (though not all) people in debt got there because of overspending or a failure to manage their budget properly. If this is the case for you, a 0% balance transfer might be a very bad idea… at least, if these bad habits aren’t completely under control. If a credit card is maxed out or you have a high balance that’s accruing serious interest each month, this is a spending deterrent. You’re either highly unmotivated, or even unable, to spend additional money on the card until you knock the balance down, so this may make you think twice about whipping out the plastic. There’s a switch that flips when you move that balance to a 0% APR card, though. Not only can a freshly-cleared account balance be incredibly tempting to spend on, but there’s also the subconscious “I’m saving money on interest each month so I can spend a bit more” mentality. Many, many people get caught in this trap, clearing one debt onto a 0% transfer card only to max the original card out again, shortly thereafter. If this is something that you might be tempted, or likely, to do, take action right away to prevent it. Cut up the credit card so that you’re unable to make any charges. Create a defined get-out-of-debt plan that allows you to pay off the 0% interest balance in the allotted time frame, without the risk of incurring interest charges. Lastly, if you’re thinking about opening a second account with the same bank in order to take advantage of a 0% balance transfer offer, you might want to give them a call. Many banks, like Chase, won’t allow you to transfer the balance between certain card products in their own line. You won’t usually encounter a problem when going from one lender to another, but within the same lender’s product line, you might have an issue. Not all banks will offer 0% interest balance transfers. This is especially true if you’re already a cardholder, but still looking for a promotional offer. However, you can often snag a low interest balance transfer, which might be just as tempting. Discover is one of the best companies for this type of offer. Even if you’ve had an account with them for years, you can typically snag a low interest balance transfer offer for a set number of months. Instead of paying 0% interest, it’s usually closer to 3-5%. However, if you’re currently paying 15%+ on that balance with another credit card, knocking the interest down to a single digit can still mean serious savings. Just be sure to do the math before you move forward. Between fees and the reduced interest charges, you want to ensure that you come out ahead. And, of course, be sure to plan your payments so that you can clear the balance before the promotional period ends. Balance transfers can be very beneficial financial products. If they are 0% transfer offers, they can save you serious cash in the end. By following a few simple rules and ensuring that you take advantage of thee offers wisely, you can use a 0% balance transfer to save you hundreds (or thousands) of dollars over your debt repayment.